Sparkle On! 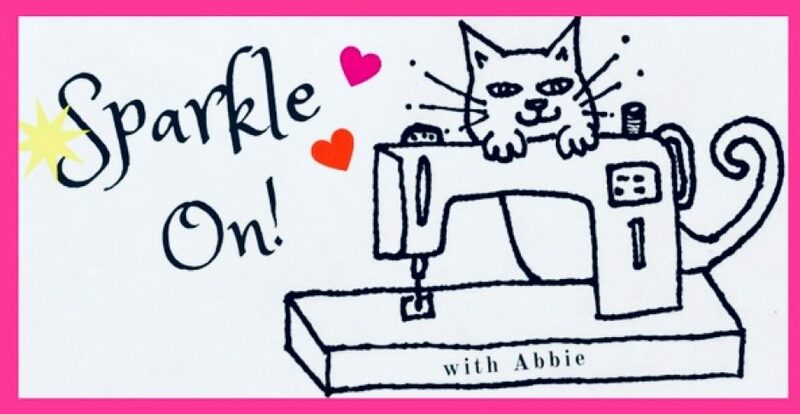 with Abbie | Sparkle On! It is with my great pleasure to announce the release of Block 3 of the Sew, Let’s Quilt Along, “Ruler” designed by Sherry Shish of Powered by Quilting . Visit her blog to download her free pattern and view her tutorial post. Us quilters know that ruler mats are an integral part of quilting. Now … Continue reading “Sew, Let’s Quilt Along” Block 3 Release! It is with my great pleasure to announce the release of Block 2 of the Sew, Let’s Quilt Along, “Quilt Along Mug” designed by April Adams of JANDA Bend Quilts. Visit blog to download her free pattern and view her tutorial post. Who doesn’t love a mug of coffee (me!) or tea when settling down … Continue reading “Sew, Let’s Quilt Along” Block 2 Release! “Sew, Let’s Quilt Along” Block 1 Release! It is with my great pleasure to announce the release of Block 1 of the Sew, Let’s Quilt Along, “Sewing Machine” designed by Sandra Healy of Sandra Healy Designs. Visit Sandra’s blog to download her free pattern and view her tutorial post. We thought that a sewing machine would be the perfect start of a … Continue reading “Sew, Let’s Quilt Along” Block 1 Release! I am so happy to announce the launch of the latest free mystery quilt along from “Partners in Design." Sew, Let’s Quilt Along! We have designed thirteen new block patterns for you, with the theme of all things sewing! As a mystery QAL, participants will not know what the block design is until it is … Continue reading Introducing the “Sew, Let’s Quilt Along”! I saw a cute “Heart Pennant Throw Pillow” tutorial on Amy Smart’s blog Diary of a Quilter. I made a table runner version for a February coffee table decoration 💕 I discovered that I have no batting (why??? ), so I used a piece of flannel for the center as well as a backing. It’s a … Continue reading Hearts on a string!